My ancestors came here in the late 1700’s and the Terrys were one of the first families of Oakville (“Oakville and the Sixteen: The History of an Ontario Port”, 1953). From there, we spread east to Napanee, Kingston, Ottawa and, eventually, back to SW Ontario when I moved to London in the 90’s. Here, I met the woman who would choose to become my wife and our family grew again. I would say that we’re ‘lucky’ to live in Canada, a land NOT dominated by ignorance, violence and bigotry, but it has little to do with luck and everything to do with choice. We choose to not wake each morning in fear. We choose to play a positive role on the world stage. We choose progress and cooperation, reason and respect. For the most part, we are a peaceful people but we’ve distinguished ourselves admirably in times of war. We embrace those from other lands and welcome them as brothers and sisters. We celebrate diversity and tradition equally. We choose to be helpers and builders, thinkers and dreamers. We stand tall – not with false pride and bravado, but with the hope that others will stand tall with us, shoulder-to-shoulder. We do have our faults, though. We have made mistakes. Our story must acknowledge where and when we have discriminated, when we have closed our doors and when we have hurt our own. We have dissenters who walk among us but they are, by far, the minority. As we mature as a nation, we are choosing to correct those mistakes and educate those negative voices. We are a land of family, both by birth and adoption, families brought together by choice and who stay together by choice. We will continue to better ourselves as a nation, as a family and as a people by choice. Today is Canada Day. 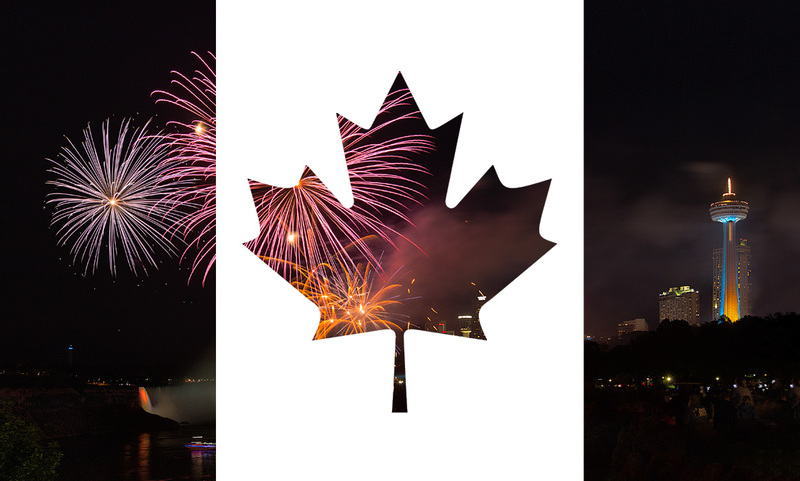 Celebrate it with pride and choose to make it a great day for all Canadians, both old and new, everywhere. This entry was posted in General and tagged 2016, Canada Day, Choice, Family, July 1, Oakville, Terry, ancestors, celebration, diversity, equality, heritage, national holiday, opportunity, photos, pics, pride, progress, story.